Challenge #87 over at If You Give a Crafter a Cookie is all about hearts and love and red and white and Valentines. Our sponsor this time is My Besties . This challenge is open for 2 weeks starting Feb. 8 and I hope you will take a peek at all of the Design Team creations AND maybe even link up something of your own. I have had this wonderful AMOR stamp by Hero Arts for quite some time but had never inked it up !! So, the time was right to get creative with it. Along with a red and white Valentine theme, I used a non-traditional color card base. I stamped the AMOR image from Hero Arts on a piece of pale pink scrap paper, using StazOn ink in the perfect color - St. Valentine. The Frida image is from the Coyoacan Collection by Vera Lane Studio. I printed her on my favorite cardstock - Neenah Stardust White. I fussy-cut Frida and colored her with my favorite Faber-Castell PITT Artist pens and Stampin Up markers. 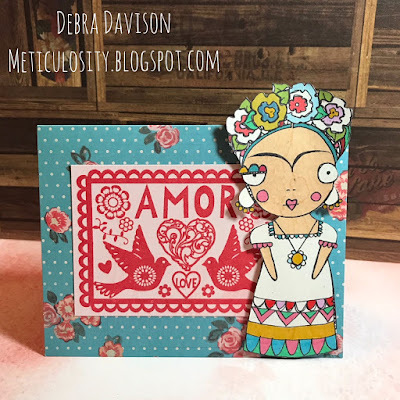 The AMOR image was adhered to the card base with Tombow Mono Adhesive+ and Frida was popped up with Tombow Foam Tabs. I hope you like my Frida Amor card !! I am a big fan of Frida and her work - you can find out more about her here. Please leave a comment and let me know what you think of my card. 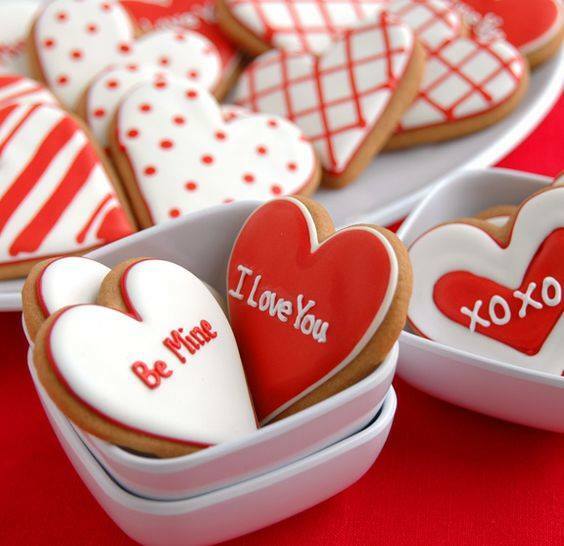 Do you like more "traditional" Valentines?? I love combining patterned papers & backgrounds with stamped images and this card was no exception. Be sure to check out the Challenge page for all of the team's designs. And if you'd like, you can link up a project -- we would love that !! And thank you again to our sponsor - My Besties .